A few more week and some more interesting things to work with over the last while. The local ham-space held it’s twice-annual flea market – I manned the membership table of the local MRS group – will be my last as I transfer membership duties to another ham – been fun. 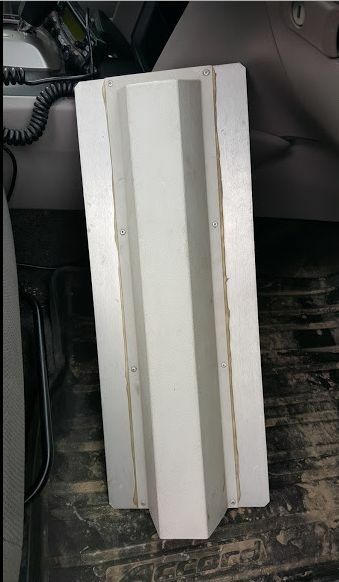 I was able to find a used antenna from a local ham – seems I need to do some work on this GAP Challenger vertical as there’s some damage to it. We’ve been fortunate enough to find some decent deals on some used RF gear to help with our project, so I have to get some to try them out. 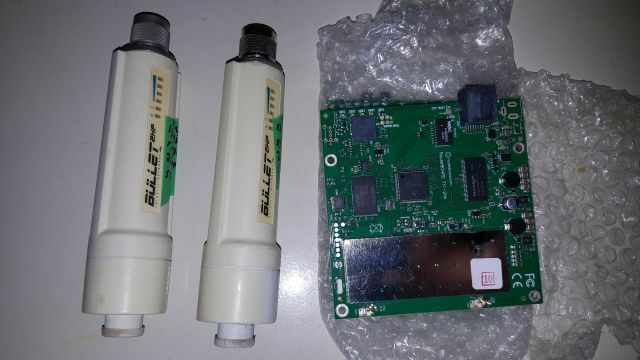 A nice Ubiquity Bullet2HP unit (or two), a few RouterBoard with built-in 2GHz RF unit, a nice Ubiquity M3 3GHz unit. … and more to come — some of these units have some rather nice features to visualize spectrum usage – will be interesting. this was some form of commercial broadcasting … would have been interesting to see 400′ of that tower coming down! Been a rather long 3 months since my last update on my radio happenings. 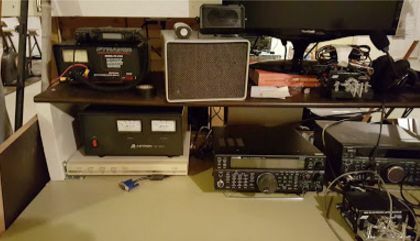 After a while things keep on getting busier and busier, so in the end, I will have to pass on some of my current activities to others to take on, such as the membership chair of the Manitoba Repeater Society, so I can focus on the items that need more attention from myself. A good few years doing what needs to be done in support of the society – learned alot and met alot of very knowledgeable people. When I get the chance, it’s always fun to take things apart — assuming we can get all the pieces back together again. 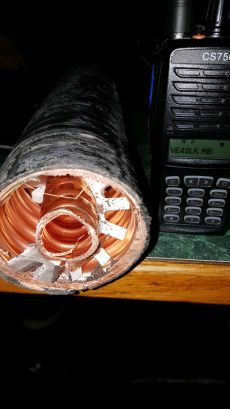 Following that line, I had a loose connector on my APRS VHF tracker unit. 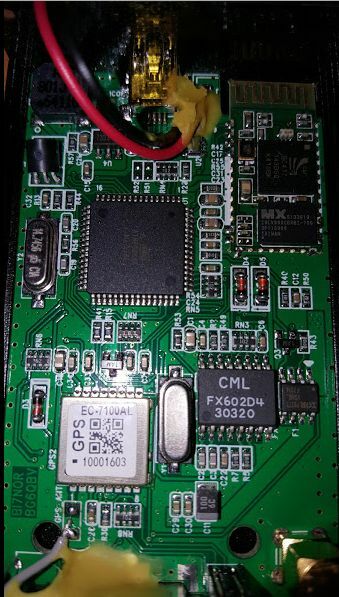 This is a rather unique integrated device – it combines a GPS receiver (SiRF 4) with an ATMEGA board design, a 1 watt VHF transceiver, bluetooth, thermometer and sdcard storage into one small package about the size of a pack of smokes. old-style to new style .. Thanks to Les from Les.Net for all his assistance, support and provisioning over the past while. 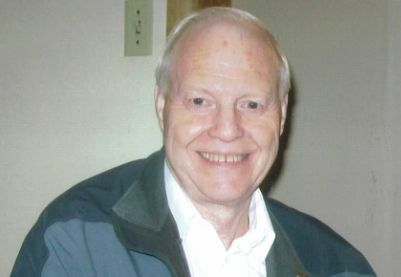 Sad news this past while, one of our founding members of Radiosport Manitoba, and our treasurer, recently passed away. 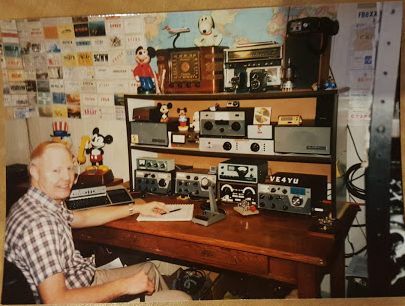 Ed Henderson VE4YU, a very well-known and well-respected radio amateur, contester and all-round nice guy. During the most recent contest, our group all gave out “Ed”‘s name as our contact exchange. Ed always had a smile on his face. 73 Ed. 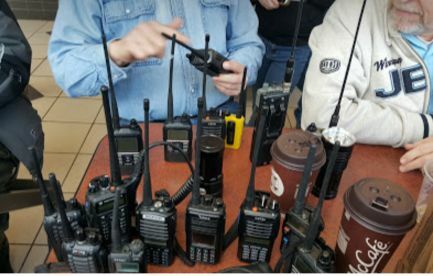 One thing we want to do is assist more hams to get on the air with the VA4WAN system and expand it’s coverage to serve more groups and provide services. 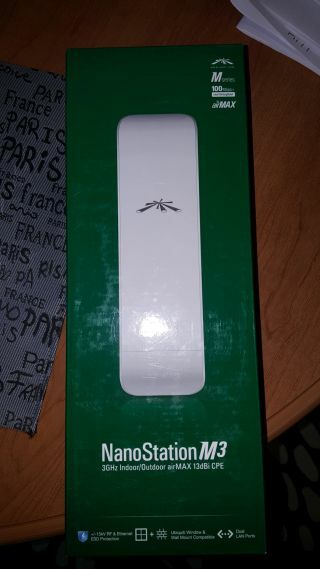 A local student was asking for assistance so we were more then happy to help and were able to donate a 5GHz antenna for him to try out. Now, we’ve been having issues (off and on) on our 5GHz omni on our main site, so this didn’t work out too well for him — so William put together a 2.3GHz station to get him on the air — a few days later and his call shows up on the system 🙂 We’ll also be fixing up the omni to ensure it’s working properly as well. 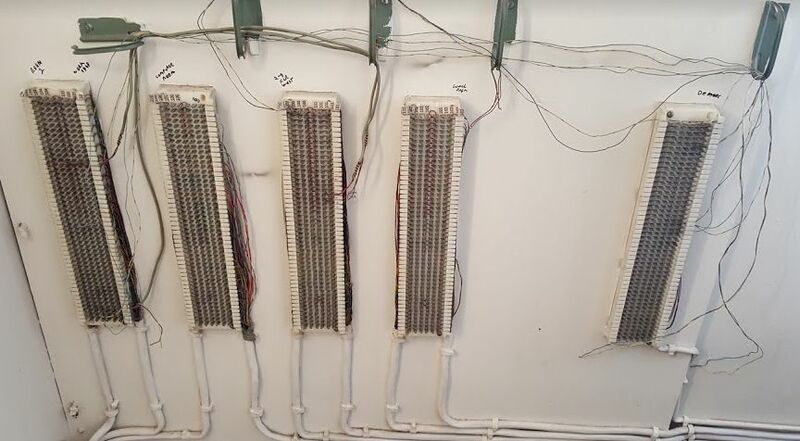 Over the past while we’ve been able to secure a significant number of 3.4GHz cards as well as some 2.3GHz bullets and miscellaneous items – like Router boards/enclosures etc .. so work needs to progress now on building the sites up. Speaking of sites, we’ll soon be preparing to set up the site on Dugald road and provide coverage to the eastern part of the city fairly soon. 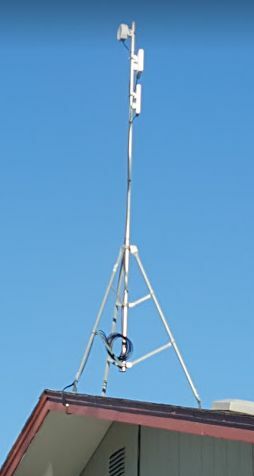 To top it off, we’ll also be installing the MRS test system for radio linking via VoIP — a great opportunity. 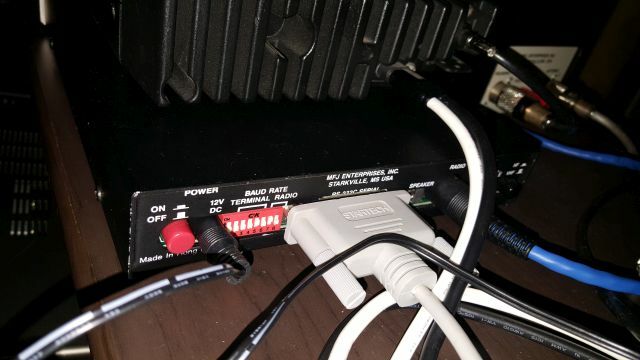 I was also able to upgrade my 9 port router to a more recent 10 port router a RB2011UiAS-RM – which also has gigabit ports to boot! I’m really impressed with these routerboards and Mikrotik controllers — they are very impressive in what they do. 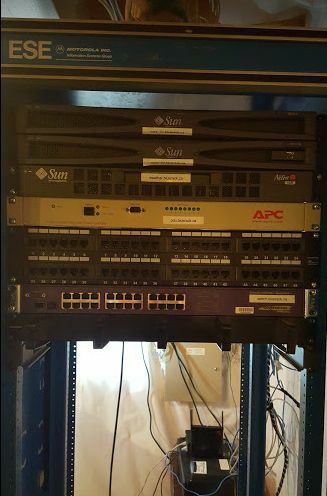 I still have some networking setup to accomplish on it to integrate the various networks in the house now, a few bumps, but it’s coming along. The last thing to write about today is the meet up we had this past Saturday, April 2. 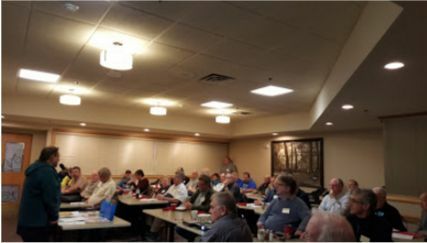 Radiosport Manitoba in conjunction with the Winnipeg Amateur Radio Club, co-sponsored a day long session called “Discover the HF experience” — in which esteemed radio amateurs local and remote are brought in to discuss all things ham radio and what’s going on today. 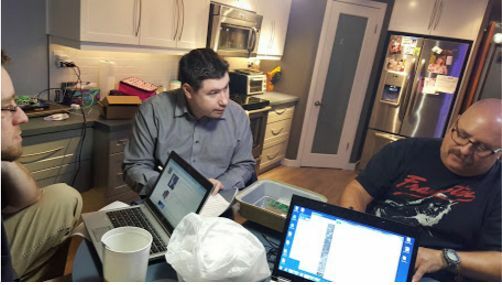 We were able to bring in Tom VE3CX as well as Gord VE6SV and remotely have both W1VE and Doug K1DG do presentations. Locally, we also had Ed VE4EAR and Leor VE4DXR also give presentations. All in all, we had a great attendance at the event — almost 50 from what I was counting and packed the room quite full. Was great participation from all members of Radiosport Manitoba in assisting with the event. Thanks to Cary VE4EA for coordinating what will hopefully be a most impressive annual event. During these winter months, it was not good for my antennas again! This time, two of my coax cables got chewed up by rabbits! So – -after discussing with those in the know, I’ll be looking at enclosing them with some wrap and burying them under the ground — at least worms don’t have big teeth! So my RF experience as of late has been diminished and I really do need to run more cable — time is ripe.